Number of countries of Central America celebrate their Independence Day on September 15. Festive ceremonies are also held in Honduras on this day, to celebrate the day, when the country declared independence from Spain. The first Europeans arrived in Honduras in 1502, when Christopher Columbus visited the Bay Islands on the coast of Honduras. In 1524 the Spanish started to conquer the territories of Central America, bringing the forces from Mexico. Much of the territory of present-Day Honduras was conquered, but the north, especially the Miskito Kingdom, never fell to the Spanish. Honduras became the province of the Kingdom of Guatemala and the first capital was established in Trujillo, later it was moved to Comayagua and finally to Tegucigalpa in the central part of the country. The Spanish started mining silver and brought many slaves from Central America and Africa. At the beginning of the 19th century the Miskito Kingdom started resistance against the Spanish government. Honduras and other parts of the Kingdom of Guatemala declared independence from Spain on September 15, 1821. 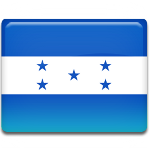 This anniversary is annually celebrated in Honduras as Independence Day.